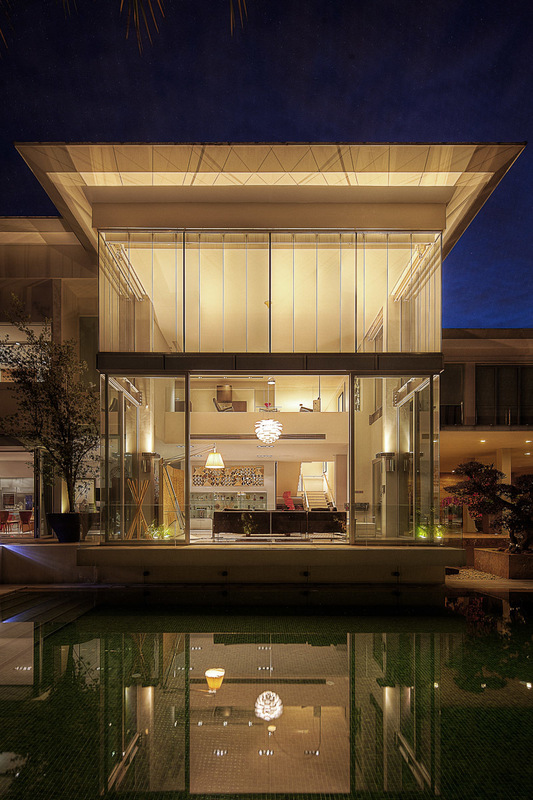 This house is composed of a double volume glass box with smaller interconnected spaces that are extended from it. As the block containing the main living areas faces east, the space within it is illuminated by a natural glow with changing patterns of shadows as the day goes by. 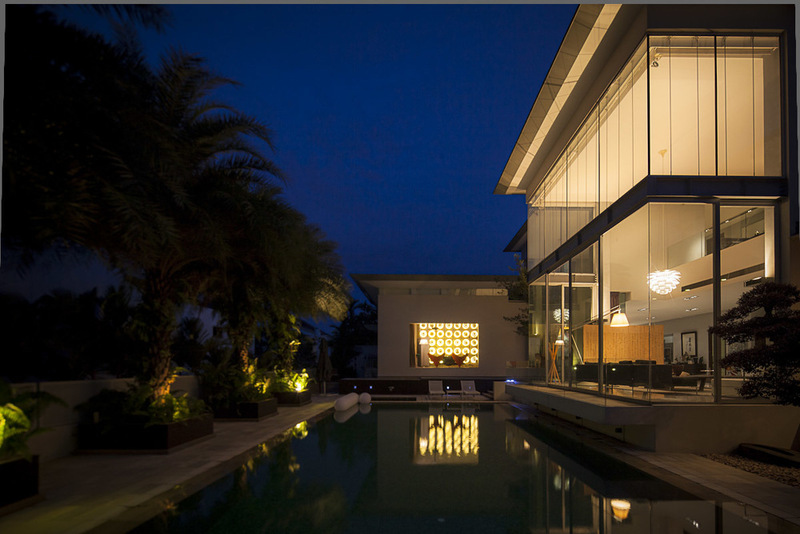 At night, this glass box lights up against the night sky, and the interior space takes on a more intimate quality. Limestone is used throughout the house to give a natural feel to the house. 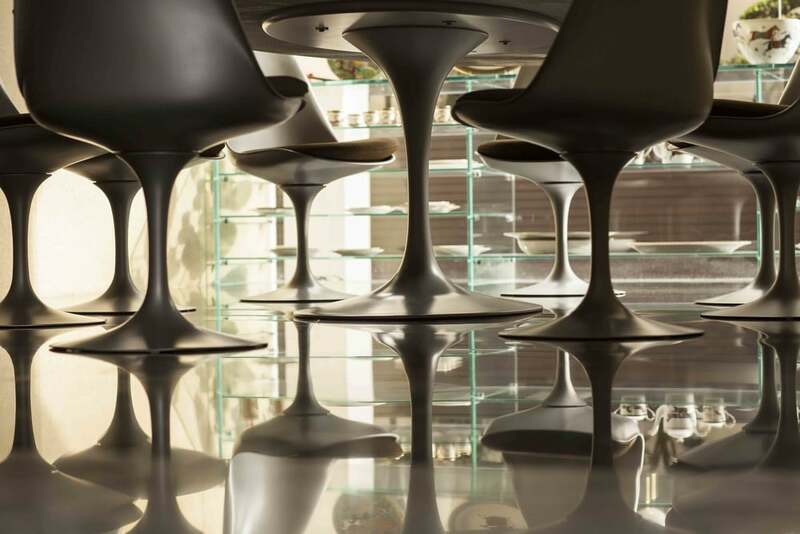 Modern classic furniture pieces have been selected to provide a timeless feel to the space.